What a great day on Sunday! I’m also still on a high. I took away hints and tips for my own presentation style! Your content and delivery were excellent. Passionate, clear and compelling. I found you riveting, and looking around I could see that we all did! And you and Charlotte blend so well together. You were inspirational and l have immediately cut down massively on the white bread, and put quinoa on the shopping list! 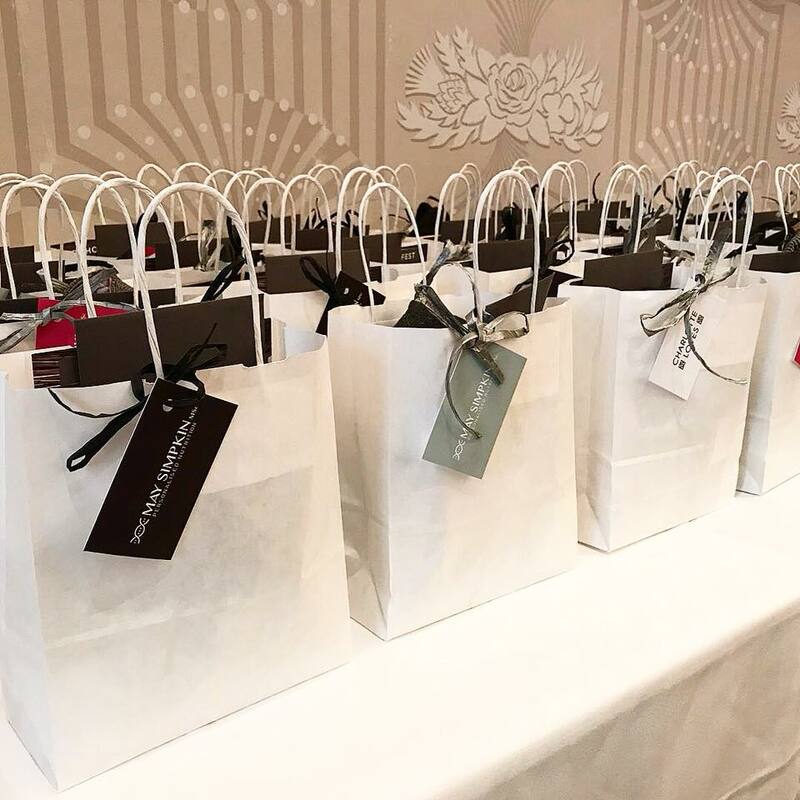 Created with you in mind, in just one day, our Nutrition and Style expert led masterclass sessions focused on nurturing the mind and body, focusing on the role that diet and lifestyle play as well as the impact of colour and style on overall wellbeing and confidence. Led by myself and highly acclaimed Personal Stylist, Charlotte Broadbent, the expert led sessions will covered all the essential top tips for building a healthy and vibrant new you, all in the comfort of the gorgeous Cannizaro House over 5 hours. A great day and loved how you both communicated the messages simply. Thank you both! Kicking off in the morning with an hour of nutrition where May discussed the core principles of nutrition and their links with general health and wellbeing. Translating this into everyday life is not always easy. Instead of offering a glossy, curated, impossible-to-attain lifestyle, May’s offered an easy, real, achievable approach, empowering informed and more intuitive choices. What a fabulous day, educational and inspiring! Looking forward to the next one! A significant part of a healthy lifestyle is ensuring adequate activity during the day and this event incorporated just that! 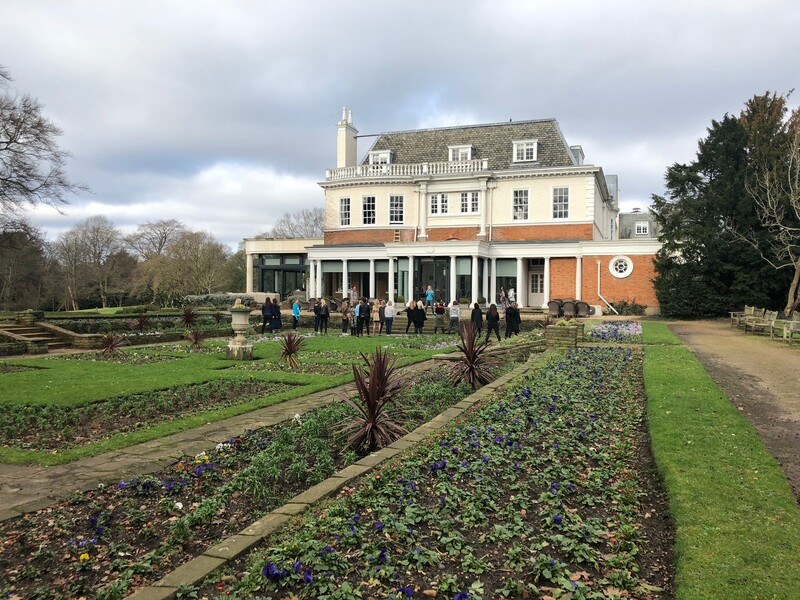 Luckily, although a little chilly and windy, it was not raining and delegates enjoyed a bracing outdoor stretch and movement session outside in the beautiful manicured gardens at Cannizaro House. A really enjoyable and informative day! I highly recommend this. Thank you ladies! Refreshed and revived after morning’s talk, a delicious healthy lunch buffet awaited, of course a reflection of the core principles disucssed earlier. 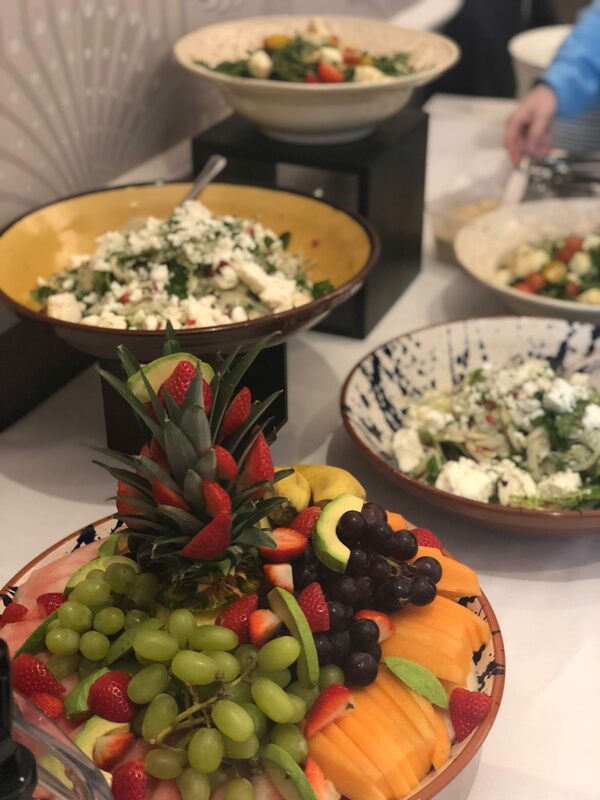 A menu of roasted chicken breast, fennel, pomegranate and Halloumi salad, cherry tomato, asparagus and feta plus an array of roasted vegetables didn’t disappoint with a vibrant fruit platter for dessert. 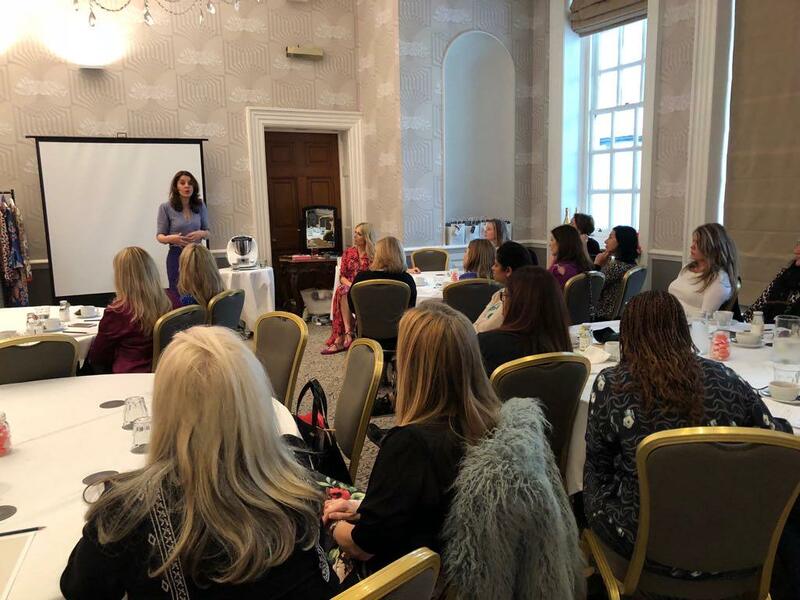 The afternoon’s Style workshop with Charlotte Broadbent discussed the psychology behind colour and how adding colour to your wardrobe can enhance your hormonal balance, make you appear younger and step out with a renewed confidence. She shared her tips to dress in the most flattering way taking into account skin tone and body shape and also touched on how to create a capsule wardrobe, for both men and women and what mistakes to avoid as well as sharing her top 10 style essentials. There was certainly no chance of starting 2018 off in a ‘greige’ way and this fabulous session! The day finished off with an interactive Q & A for an opportunity to address all your nutrition and style queries with any of the experts and perhaps even dispel myths! There was no doubt that our delegates left invigorated and motivated with the tools to make better choices that will nourish and nurture your body, leading to a healthier, happier and rewarding lifestyle for 2018 and beyond! May Simpkin is a Masters qualified nutritionist and health expert. She writes regularly for leading health websites online, including Healthista and contributes to many national press publications, including the MailOnline and national news channels. She is Chair of the Continual Professional Development Committee at BANT, British Association of Nutritional Therapy and Applied Nutrition and is also a member of the Royal Society of Medicine and registered with the Institute of Functional Medicine. 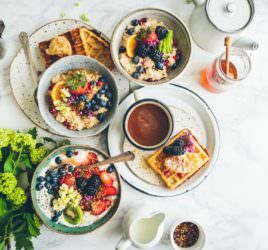 May sees clients on a one-to-one basis, runs healthy cooking workshops as well as health retreats at Chateau de la Vigne in the Loire valley, France; a holiday property she has owned and run since 2001. Charlotte Broadbent (DipM ACIM) is a qualified personal stylist with distinction from London College of Style and has worked in fashion and beauty for over 18 years. She has impeccable taste and expert knowledge acquired from roles at HELLO! magazine as Fashion & Beauty Director and corporate work with luxury brands Marc Jacobs, Chloe, Balenciaga and Calvin Klein. She works closely with women and men across London and offers effective Personal Styling specialist advice, focusing on colour, wardrobe detox & personal shopping. Charlotte is Fashion Editor for Wimbledon’s DARLING Magazine, as well as offering her expertise for corporate speaking and image coaching, guest blogging, guest appearances, TV work and charity events. As a Chartered Marketer, Charlotte also works as a marketing and brand consultant.